This week on our Leader Spotlight, we are featuring Ashley Dunbabin. 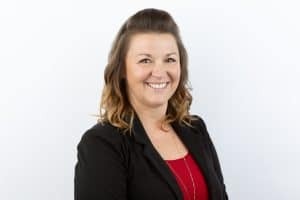 Currently residing in Welland, Ashley is a Supervisor at Big Brothers Big Sisters of South Niagara and has for the last 7 years working in the non-profit sector supporting children, youth and families through healthy relationship initiatives. She received her Child and Youth Worker diploma from Niagara College after relocating to the Niagara Region from Timmins, Ontario. As a former mentor herself to children in a youth group program, Ashley can often be found supporting youth initiatives in schools throughout the South Niagara Area. When she is not at work, spending time travelling with her large family are the main priorities in her life. I would define community leadership as working within the community, and collaborating with other agency partners to develop and grow the health and prosperity of the community for all of its members. This includes working to make services accessible and timely for members, and working to generate economic and social benefits resulting in a strong and dynamic community. I am personally motivated to explore community leadership because I believe strongly in the growth, development and success of those in my community. I believe that everyone has the opportunity to be an active and engaged member of society and that it is our personal duty to contribute in a positive way to our own communities and the world around us. In my experience through working with a Shared Learning Hub for service providers in the Welland, Port Colborne and Pelham areas I feel that poverty and the pieces to the poverty puzzle are a significant challenge for our community. Not only does poverty affect the stress placed on our community members, but also can lead to issues around health care, transportation, mental health and addictions, as well as employment opportunities to name a few. The ability to provide for your family is often a concern that is raised by clients in our community and continues to be a growing worry as the cost of living continues to rise. While the increase to minimum wage once implemented will help to alleviate some of the pressure, it still falls short of the estimated living wage for a household in Niagara. How you would go about tackling the above issue? This is an issue that is not easily tackled, and I would begin by working with the agencies within the community who provide resources (housing, financial support, mental health and addictions supports etc.) to identify the many road blocks to providing services to clients. Through these discussions, I would look to the group to brainstorm possible work around solutions to mitigate some of these challenges. Finally, I would put together a working group to tackle each challenge identified, and hopefully lead the group in providing some solutions and initiatives for the community members affected, with ongoing assessment to evaluate whether the initiatives applied resulted in positive outcomes. I believe that the strongest attribute of a leader is the ability to mobilize and empower others. What individual attributes do you hope to develop or expand on? Through this experience I hope to develop my skills as a leader and increase my ability to identify the strengths and interests of others while encouraging them to build on their talents and skills. This goal will ultimately help me to support my team by enabling them to contribute in a positive and satisfying way while working towards a group goal.